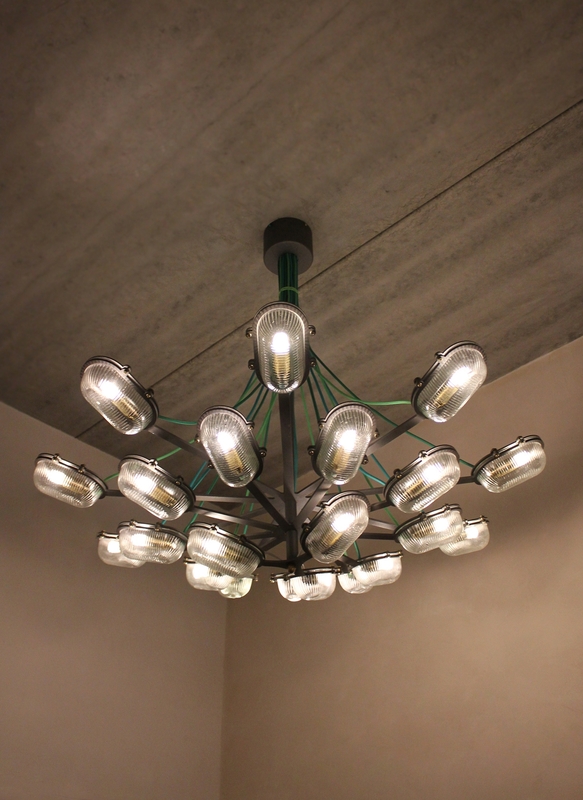 The Bullseye Chandelier was custom designed for the owners of a beautiful private home on the “Noordereiland” ,a small Island in the river the Maas, in Rotterdam, the Netherlands. Since then it’s in our lighting collection and made on order bases. The house is build very close to the famous “Hefbrug”, an old railway lift bridge. 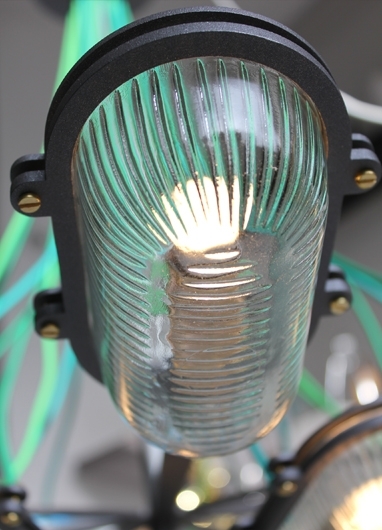 in which glasses of original, industrial “Bullseye” lamp fixtures are placed. The bullseye is a watertight fixture often used on ships and vessels. 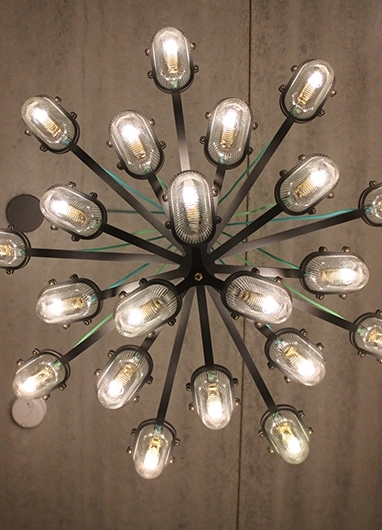 With its 21 arms and glasses, its industrial powder coating and its large measurements: ø1200mm and height of 1000mm, this chandelier forms a real eye catcher in the entrance hall of the house. In the lampshade Kühne used 21 small LED light bulbs of 0,3Watt each, so the whole chandelier burns at only 6,3 Watt. A monumental design but with a very friendly electrical bill. 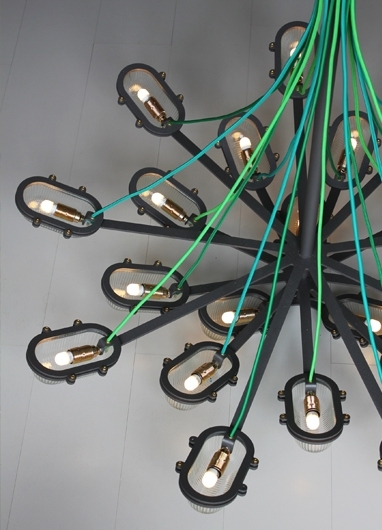 The Chandelier is produced on order bases, so the (RAL) color of the framework and electric cords can be chosen and made according to your wishes.